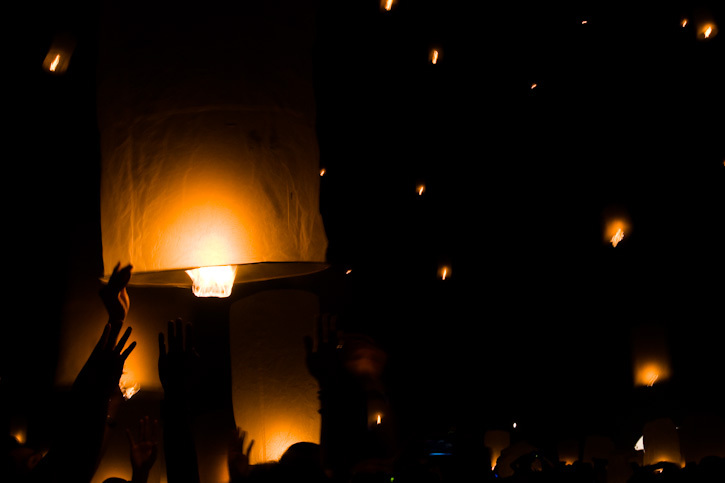 Participants in the Yee Peng festival in Mae Jo, Thailand, prepare to launch Khom Loy, or floating hot air lanterns, November 24, 2007. Yee Peng is celebrated annually on the night of the full moon in the twelfth lunar month, and participants hope to float away past misfortunes, while inviting good luck into their futures. Photo by Robert McKenna.